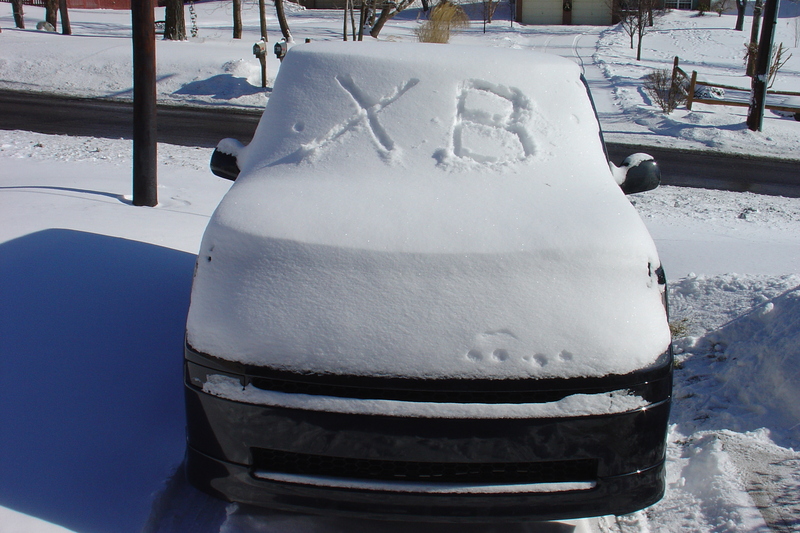 I wrote xB in the snow. I was really bored and for some reason thought it was a good idea. I haven’t left the house in 39 hours. 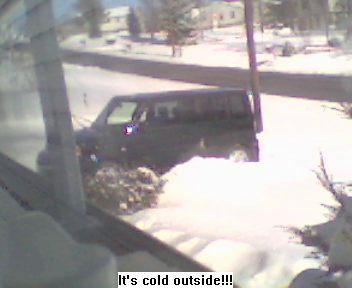 I had the webcam sending live shots earlier.. but now just a picture from earlier. Today we are expecting 6 to 8 inches of snow and I have been doing laundry and shoveling. 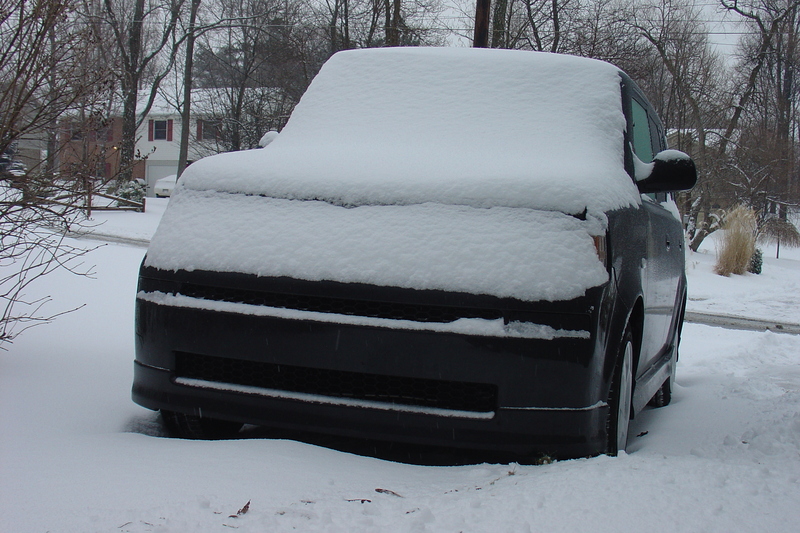 The nice thing about the xB is that since it is a box you don’t get any snow on the sides or back of the car. I only have to brush off snow on the bumper, hood, and roof. Last night during a video scavenger hunt that I was involved with I had a chance to race a Pontiac Grand Prix. While driving on 60N with 5 other people in the xB (2 in front, 3 in the back seat and 1 person in the cargo area), a guy in a Grand Prix pulls up beside us and starts revving up his engine while staying beside me. I laughed to myself but didn’t pay much attention. We entered the the 45mph stretch right before our exit and the Grand Prix pulled ahead of us. Twenty seconds later he slowed back down so he could be beside me and started revving it up again. It sounded like he had a serious hole in his muffler so everyone in the xB started laughing. I couldn’t see the driver because of his tinted windows but I know he wanted to race… So I threw it into 3rd gear and got off the exit. 108hp + (6 guys * 180lbs) = no race.